Hand tied, unique skirts and dresses for little girls up to six years old. Just ask about our different colours and combinations that are possible. Sizes are nb-3yrs or 4-6yrs - please let me know what size you would like when you order. 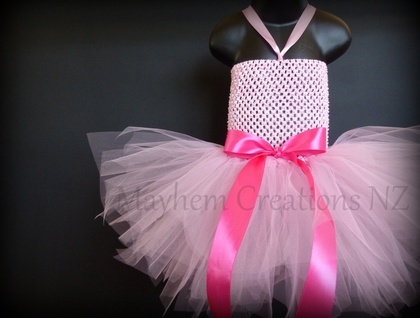 This single coloured tutu dress can be made in any colour - choose from white pink green blue aqua navy black red purple lavender peach mint lemon yellow fushia royal blue or burgundy.